Shinkong place has consistently upheld a business philosophy of "Customers First Service with Heart" By our commitment to the core values of steadiness, pragmatism, diligence, honesty, and trustworthiness, we have become the best chain department store in the minds of customers. No matter how good our sales, we always start from scratch each day. Behind the outstanding performance of our department stores lies rigorous record-keeping and untiring devotion to service. We start at dawn by cleaning up and watering the plants. We then hold a routine morning meeting to tell our sales personnel activity and service information for the coming day. We make sure baby carriages are neat and clean, and constantly practice our service phrases and code of etiquette. 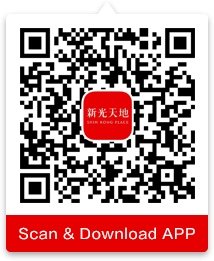 This is how we ensure that every guest to Shin Kong Place feels welcome. “Retail means detail.” We pay attention to such considerate features tactile floor tiles for the blind, two-level railings, diaper-changing tables, wheelchairs, nursery rooms, and medical rooms, and have established central control rooms responsible for maintaining safety in all our department stores. We use electronic technology to monitor safety-related features throughout our stores, including lighting and air conditioning, and also rely on our monitoring system to conserve energy to the greatest possible extent. Our attention to all of these details is an integral part of our unchanging commitment to service. A department store should not merely provide a good shopping experience to customers, but rather enhance people's life experience and happiness. We are therefore always thinking of ways to do a better and more thorough job. We at Shin Kong Place rely on our people-centered outlook and hard work to enhance visitors' experience of superior living. A bit more variety: We have created an environment that is relaxing and natural. A bit more friendliness: Our new user-friendly changing rooms make trying on clothes a pleasure. A bit more warmth: Through various recreational activities which integrate local customs, we try to give everyone shared memories and feelings.